Settings for Your Profile, Notifications, and More! 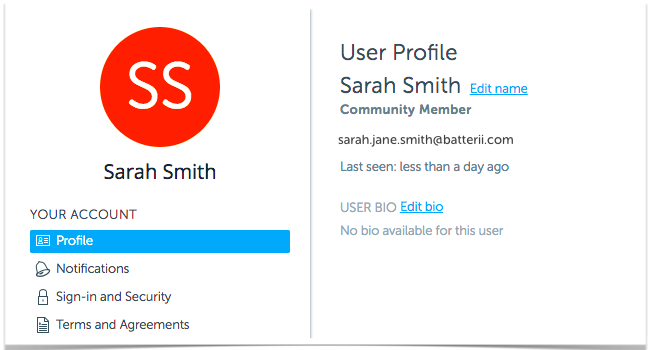 All the details and options under "Your Profile", easily reset your password or update your notifications. Select "Your Profile" from your name drop down in the top right corner. 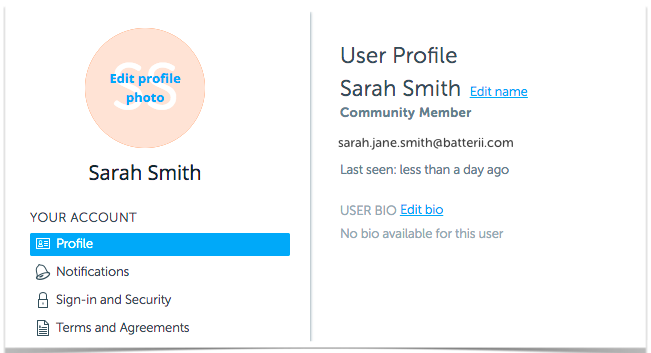 All profile updates and notification settings can be made from "Your Profile". Click on your profile image to change your photo. 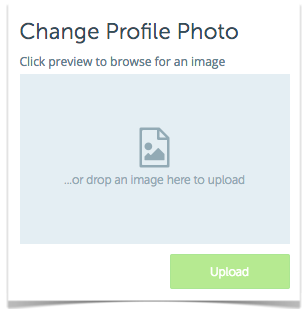 The change logo box will appear in order for you to upload your new image. Add or Update your BioClick on the "Edit Bio" box and take a moment to give a little detail on who you are and what you do. 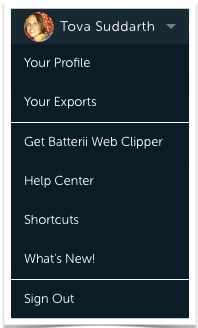 Don't forget to "Save changes" before navigating to another page. 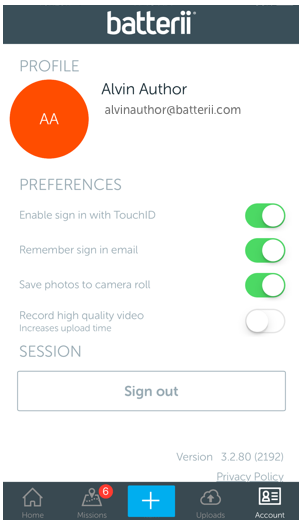 Click the Account button in the lower right to review your Mobile Settings. Click on your Profile circle and it will prompt you to add a profile image. 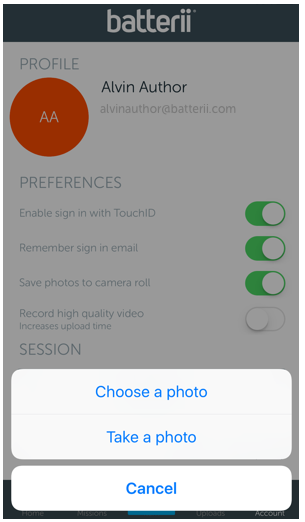 Choose a photo from your camera roll or Take a new photo. Select how often you would like to receive digest emails. The digest allows you to catch up on new content added to Rooms you are participating in, content you have added or assets you have subscribed to. Set your notifications to Daily, Weekly or None. By default we recommend Daily as you don't want to miss out on all the new content. Make sure you stay up-to-date with instant notifications when others @mention you in a comment, when a mission you are assigned to has launched, when you are added to a room and when evaluations have started. 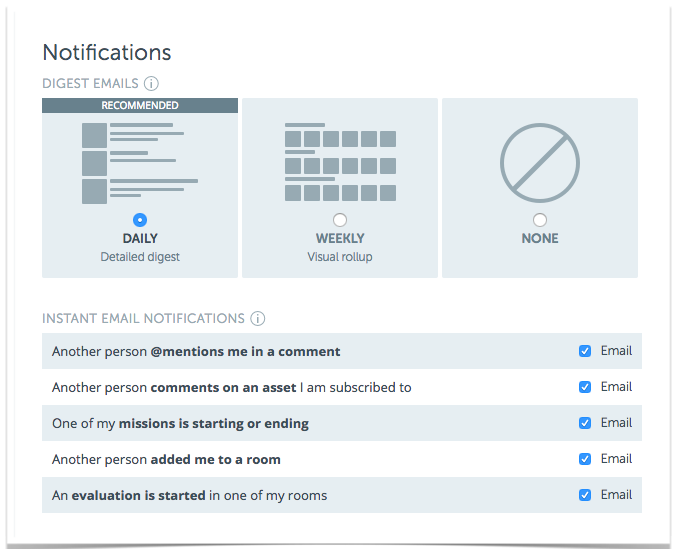 Tip: The Default for Notifications at the community level are Daily Digest and have all of the Instant Email Notifications turned on. You do have the ability to edit the default setting at any time. Need to update your email address? After logging in add your new email and click "Send Verification" button. 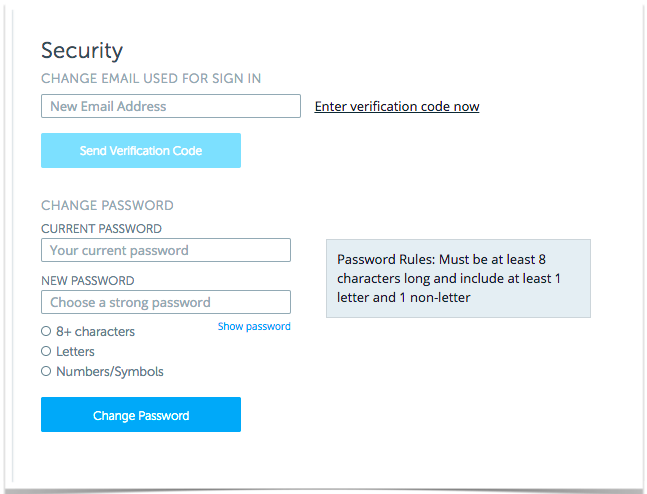 This will trigger an email to the NEW email address with the verification code you need to enter in the system to permanently change your email. Want to update your password? It is quick and easy. Enter your Current Password and then add your New Password. Your Password must be at least 8 characters in length and include at least 1 letter and 1 non-letter. Click "Change Password" and then you are set. NOTE: For communities with the "Strong Passwords" option enabled, your password must be at least 8 characters in length and include an upper, lower, numeric and a non-letter.